Netflix decided to give us all a Christmas present this year in the shape of horror film Bird Box, which is being described as one of the scariest things people have ever seen. 2018 has been an incredibly strong year for the horror genre with films like A Quiet Place storming the box office, and movies such as Hereditary giving people nightmares for weeks. 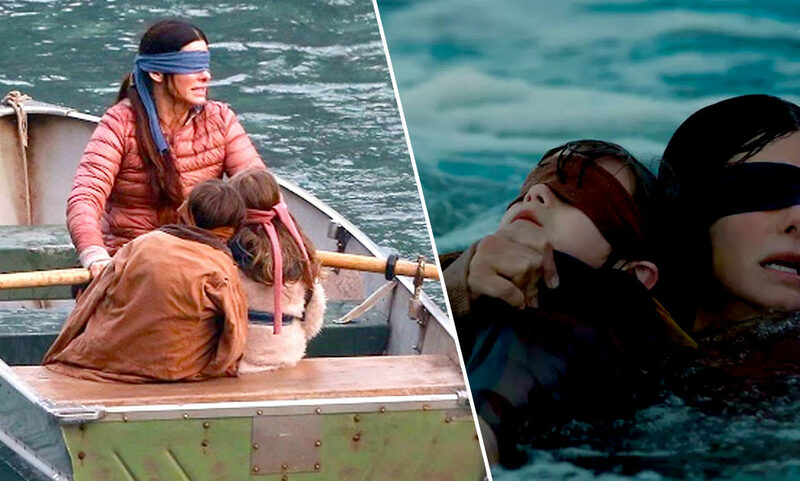 While I doubt Bird Box is one of the most terrifying films ever released, the trailer was enough to raise the hairs on the back of my neck and it has certainly been received well online. The post-apocalyptic thriller, based on the 2014 novel of the same name by Josh Malerman, follows Sandra Bullock’s pregnant Malorie as she joins a band of survivors including two young children in an attempt to escape an unknown force which is causing mass suicide. When victims lay eyes on the mysterious and dangerous force they will take their own lives, meaning Malorie and the children best hope of survival is to operate blind. The premise certainly sounds scary and according to those who have watched the film and shared their thoughts on Twitter, Bird Box is even more chilling than you can imagine. I hate Bird Box because it made me feel like I was actually in the movie and it was TERRIFYING. Bird Box is honestly terrifying. Apocalyptic movies freak me out. Newsflash: Bird Box on Netflix is terrifying don’t watch it alone late at night. Bird Box on Netflix is honestly the most terrifying but incredible movie I’ve ever seen. In an interview with /Film, the director of Bird Box, Susanne Bier, discussed what it was that drew her to to the project. I think watching a movie like that allows us to play that game, but because it’s in a confined space of two hours, you can do it relatively freely. I think it’s like fairy tales for kids. They can be really harrowing, but I think in a way that’s also kids addressing the most dangerous thing they can think of, the scariest thing they can think of, meeting a witch on the way. I think for us, dystopian post-apocalyptic movies are a bit like that. That world that we fear is coming to the end, how am I going to behave and do I understand any characters behaving in a certain way? Part of what drew me to this was firstly it has a female protagonist, which very few of those movies has. It has a badass female protagonist. She’s hard and she’s brutal. She does whatever it takes for those kids to survive and it’s not always pleasant. I think that was really interesting. From the reception the film has got on Twitter, it seems others like Bier were drawn in by Malorie and the dystopian world. Bird Box is available to stream on Netflix now.